A good year for Kia ! 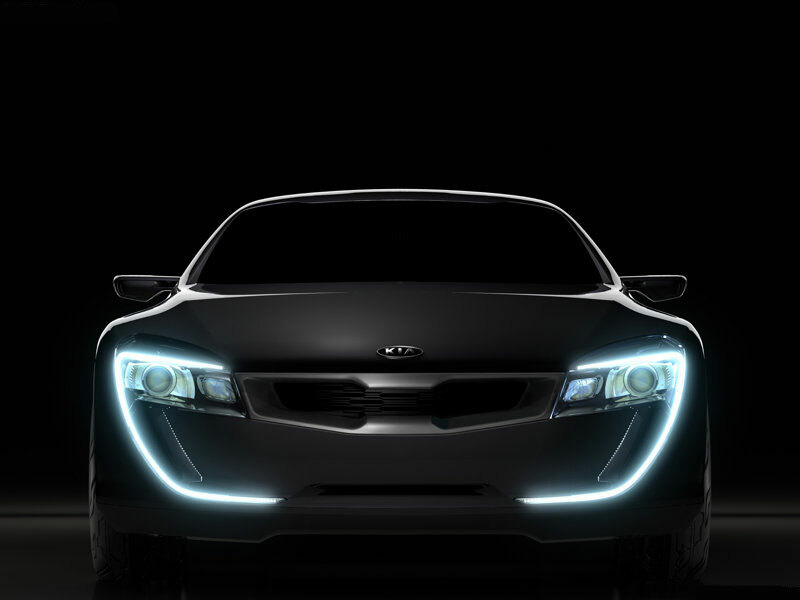 Kia Motors Corporation announced yesterday the official figures (export sales, domestic sales and sales from overseas plants) for passenger cars, recreational vehicles (RVs) and commercial vehicles and guess what? It has increased to 205,876 units (21.3%) and the leader is China with 41.8%, followed closely by North America (35.5%), Europe (38.7%) and Korea (2.5%). 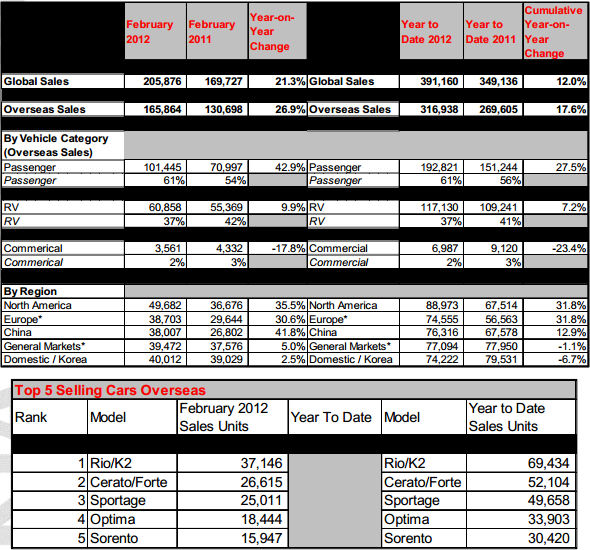 Apparently, the first 2 months of 2012 have proven themselves to be very lucky for Kia, and the best selling segment was Rio, or K2 (China). Then you have the C-segment Cerato, followed by the Sportage compact CUV, D-segment Optima sedan and Sorento mid-size CUV.